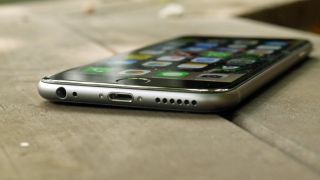 With the Samsung Galaxy S6 and HTC One M9 out the way many rumour-mongers are setting their sights back on the iPhone 6S, and the latest whispers suggest that Apple's next phone could include 2GB of RAM, which is double the amount found in the iPhone 6. According to Apple Insider, a "person familiar with Apple's future product plans" who has apparently proved reliable in the past, has said as much. It's not that far-fetched an idea either, as Apple has put 2GB of RAM in the iPad Air 2 and it was with the iPad 3 that Apple introduced 1GB of RAM before adding the same amount to the iPhone 5 later that year, so it would make some sense for the company to follow the same pattern here. This also isn't the first time we've heard talk of 2GB of RAM making its way to the iPhone 6S so chalk this one up as quite likely. Which is good, because that extra gigabyte should make the phone a more accomplished multitasker. The same source has shared an even more exciting, if far less likely, rumour, stating that Apple is considering pre-installing the Apple SIM in the iPhone 6S. That's another thing that first appeared in the iPad Air 2 and it allows users to switch network at will without changing their SIM card. The benefits of that are potentially enormous, allowing you to swap to whatever the best plan at the time is and even switch to a local network when abroad. But while Apple might be considering including one in the iPhone 6S we doubt it actually will. For one thing networks aren't likely to be too happy about losing that much control and may opt not to support it. Plus a phone SIM is a more complex beast, as there are technical hurdles involved in getting full voice support rather than just data. It's a great idea, but we reckon we're at least a few years off seeing it in smartphones. The iPhone 6S might also get Force Touch.